Conisbrough Motor Company based in South Yorkshire has one of the best selections of quality used vehicles in the area. Conisbrough Motor Company sells used cars to customers across Doncaster, Barnsley, Rotherham, Sheffield, Worksop, Gainsborough and the South Yorkshire area. Conisbrough Motor Company specialise in providing a good selection of quality used cars including models from top manufacturers including Citroen, Daihatsu, Ford, Honda, Kia, Mini, Nissan, Peugeot, Renault, Rover, Skoda, Suzuki, Toyota, Vauxhall and many more. Conisbrough Motor Company have an excellent selection of used cars with petrol, diesel, automatic and manual models always ready to drive away. Conisbrough Motor Company can offer a wide range of financial packages tailored to suit your personal requirements. You can be assured of gaining the most cost effective finance package for your car. Conisbrough Motor Company also offer a Part Exchange service, allowing customers to cover part of the cost of their new car by trading in their old one. Click here for more details. If you can't find the car you're looking for in our showroom, go to our Car Locator page and fill in the form. We will find the right Used Car for you. Directions, opening hours, telephone numbers and enquiry forms are available on our Contact Us and Location pages. 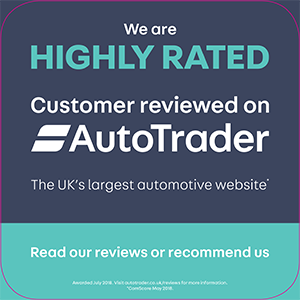 At Conisbrough Motor Company, we pride ourselves on giving you the best advice possible with a friendly service when buying one of our quality used cars. Our reputation speaks for itself with a large proportion of our used car sales being to repeat customers. We offer a wide range of quality used cars at affordable prices. Our existing customers appreciate the way we do business, and we know you will too.